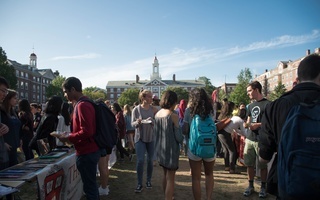 The Fox Club and the joint Delphic-Bee Club are among roughly a dozen campus social groups that have now promised administrators they will go co-ed, securing Harvard recognition and freedom from the sanctions, Associate Dean of Student Engagement Alexander R. Miller announced Friday. Fifteen previously single-gender groups earned recognition. The historically all-male Fox and the merged Delphic-Bee club are the only unexpected names on the list. The Fox's decision to admit members of all genders comes after a brief and troubled flirtation with co-ed status that at one point saw the group’s displeased graduate board shut down the club's mansion near campus. The Bee and the Delphic decided to share membership and a clubhouse in fall 2017, at the time marking the first union of an all-female and an all-male final club in recent memory. Most of the others on the list, which includes ex-sororities, ex-fraternities, and final clubs, had already declared they planned to go gender-neutral. Administrators’ Friday announcement — published on the Dean of Students Office website — leaves Harvard’s campus without all-female social groups, confirming The Crimson’s report last month. The full list of recognized clubs includes the Fox, the Delphic-Bee Club, the Fleur-de-Lis, Kali Praxi, the Ivy, the Aleph, the KS, the Spee, Theta Zeta Xi, the IC, Pleiades, La Vie, the Oak Club, the Sab Club, and the Seneca. Four groups — the Delphic, the Fox, the Oak, and the Spee — were once all-male social groups and two were once fraternities. The remaining groups are all historically all-female. It is the end of decades of independence for the Delphic, the Fox, and the Spee. The three clubs were among the nine all-male final clubs that formally severed ties with Harvard in the early 1980s rather than accept women. Harvard’s two-year-old social group penalties, which took effect with the Class of 2021, bar members of unrecognized single-gender final clubs and Greek organizations from holding student group leadership positions, varsity athletic team captaincies, and from receiving College endorsement for prestigious fellowships like the Rhodes. The policy, which former University President Drew G. Faust announced in a May 2016 email to students, has spurred near-constant controversy and backlash since its debut. Even as some clubs evade the sanctions by seeking formal ties with Harvard, others are choosing the warpath. 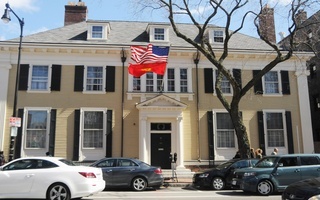 The Cambridge Coalition, a set of social groups that includes storied all-male final clubs the Fly Club, the AD Club, and the Porcellian Club, is taking the fight to Capitol Hill and lobbying Congress in favor of a bill it hopes will kill the sanctions by forcing Harvard to choose between the penalties and millions of dollars of federal funding. The College granted recognition to every club that applied for it, Miller said in a Thursday interview. Most of the 15 groups received “Interim Recognition” — the lowest tier of recognition in the three-tiered system administrators debuted last semester — though at least one group, the KS, earned "Full Recognition," the second-highest tier. Though every level of recognition requires gender-neutral membership practices and confers exemption from the sanctions, upper tiers demand total non-discrimination and come with unspecified amounts of College cash. Groups do not actually have to go co-ed to earn Interim Recognition. But they must demonstrate a legitimate intention to do so later on. And Interim Recognition only guarantees safety from the sanctions for one year. At the end of that period, groups in that category can either apply to advance to Full Recognition or they can seek to extend their interim status for another year. Miller acknowledged that some of the clubs that earned recognition Friday are still single-gender in practice. But he said administrators worked with every group to develop an “action plan” to ensure they meet College requirements for recognition going forward. Not every recognized group could be reached for comment Friday. The IC and the Sab declined to comment. 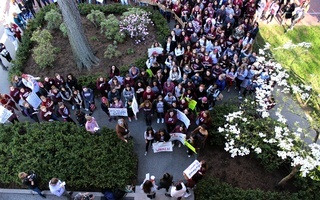 The Fox first experimented with a co-ed move in 2015 when undergraduate members chose to admit women, citing both students’ “sincere desire” to go co-ed and “tremendous pressure” from administrators. But alumni — and especially the club’s powerful graduate board — were far from pleased. The board called a special meeting to discuss the co-ed move and stipulated that the nine new female members would remain “provisional” denizens of the Fox pending later approval. 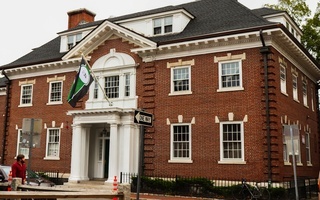 The board abruptly shuttered its clubhouse on JFK Street a few days later, effectively stalling that semester’s “punch,” the process by which the Fox selects and inducts new undergraduate members. In subsequent punch seasons, the club reverted to choosing only male members. And in July 2017, The Crimson reported that the club’s graduate board had permanently revoked membership for its nine provisional female members. But the Fox graduate board’s days of so directly steering the club’s affairs may soon be at an end. Harvard can deny or rescind recognition to social groups if it finds that recognized clubs’ graduate boards or national organizations wield too much clout over undergraduate members. The ex-fraternities and ex-sororities on the Friday list all had to sever ties with their national chapters to secure recognition. Miller declined to comment on what might constitute an inappropriate level of influence exerted by club graduate boards, but said generally that the College will consider the amount of financial control exerted by alumni. Harvard is not shirking from influencing the groups itself. Administrators have already given recognized clubs recommendations designed to “increase their gender inclusivity across their organization,” Miller said. A few got advice about “how they may need to strengthen their overall governance within themselves, how they manage themselves, [and] how do they make decisions,” he added. Miller declined to give any further specifics, noting he wants to preserve trust between administrators and social organizations. During the application process, the 15 clubs submitted written forms and members interviewed with a committee specifically tasked with making decisions about social group recognition, according to Miller. He declined to detail the membership of the committee, which he said included administrators, faculty members, and some students affiliated with social organizations. 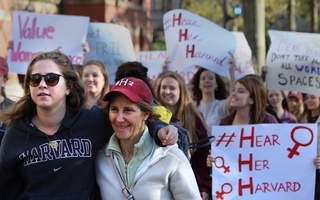 The stamp of approval Harvard offered the 15 groups Friday may be merely the first step in a changing relationship with the College, Miller said. Harvard may eventually assign some clubs faculty advisers, according to Miller. He declined to comment on the specific circumstances under which the College would assign advisers, saying the committee would consider a variety of relevant factors. The Delphic, the Fox, and the Spee’s 1984 break with the University did not have serious consequences. Then as now, the historically all-male final clubs around campus — including the holdouts that still refuse to go co-ed — are privately financed and own their own property in Cambridge. Close to 40 years later, they’re back in the fold. An earlier version of this article incorrectly stated that each of the 15 social groups mentioned in the story received "Interim Recognition." In fact, at least one group earned "Full Recognition." Due to incorrect information provided by Harvard, a previous version of this article incorrectly stated that the Exister Society had applied for and received College recognition and neglected to mention that the Delphic-Bee Club had done so. It has been updated. A Harvard spokesperson confirmed an embargoed list of social groups that had applied for and received recognition from the College with The Crimson Thursday afternoon, a day ahead of publication. But the spokesperson gave Crimson reporters the wrong list, causing the paper to publish an incorrect article. —Staff writer Caroline S. Engelmayer can be reached at caroline.engelmayer@thecrimson.com. Follow her on Twitter @cengelmayer13. —Staff writer Michael E. Xie can be reached at michael.xie@thecrimson.com. Follow him on Twitter @MichaelEXie1.